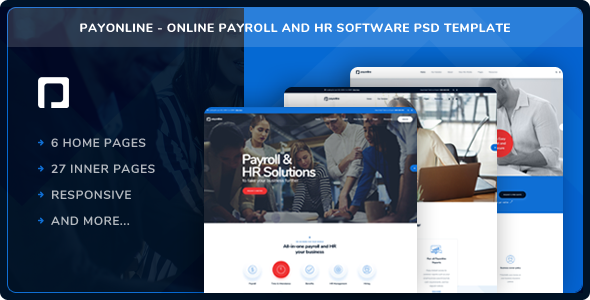 Payonline is a perfect template for online Payroll and HR Software Solutions. It has perfect layout to display all your major services and show your skills. Payonline has HR solutions to fit the needs of any size business. From do-it-yourself payroll to human capital management, Payonline has exactly what you need to take your business where it needs to go.